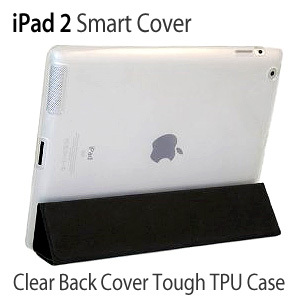 This tough TPU iPad 2 ProGel back cover simply clips onto the back of your iPad 2. The cover encases the back, sides and corners of your ipad, leaving it completely protected from scratches, dents and other damage. The precision cut outs enable full use of the iPad without having to remove the cover at any time. Your Smart Cover will fit as normal, taking advantage of the cutout down the left hand side of the cover, leaving the Smart Cover mounting point open. The back case does not in any way interfere with the function of the Apple Smart Cover. I bought this cover for the unsurprising reason that I love the spiffy cover on my iPad but not so much the scratching that was undoubtedly going to scar the back of my iPad 2. I figured I'd get something cheap for a test drive and so far so great! Completely transparant it still shows off the nice apple logo while protecting the back. An additional perk is that when holding the ipad it's not so slippery so it doesn't take that much effort. Also makes the rolled up cover sit more stable. I usually carry my iPad in my bag and to date I've had nothing get stuck between the back and the cover, which is also good. 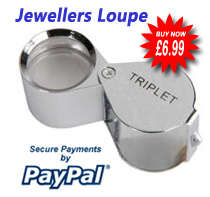 The magnetic cover element sits perfectly, allowing for any of the multiple cover uses. On the front when closed the cover feels a bit snug but works fine. No reason to spend £30 on a back cover when you can get your hands on this!